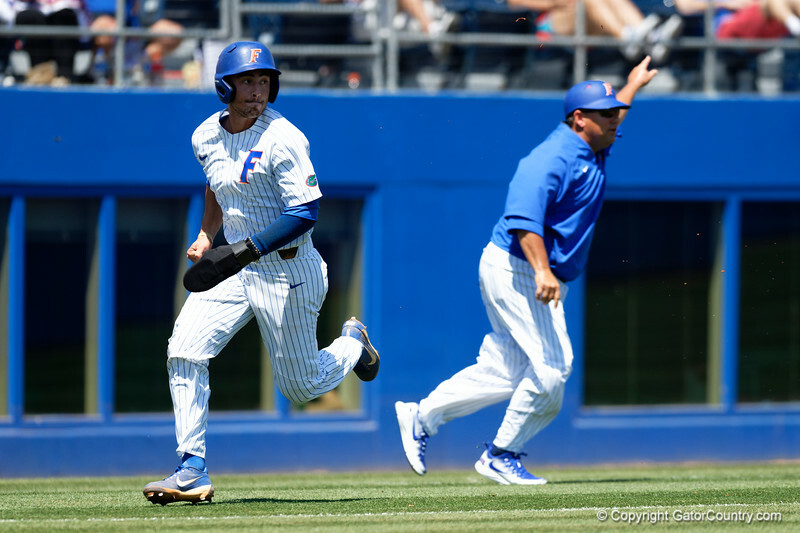 University of Florida Gators infielder Jonathan India sprints around third base and toward home as the Gators win the series over the Auburn Tigers with a 12-3 game three win. April 28th, 2018. Gator Country photo by David Bowie.